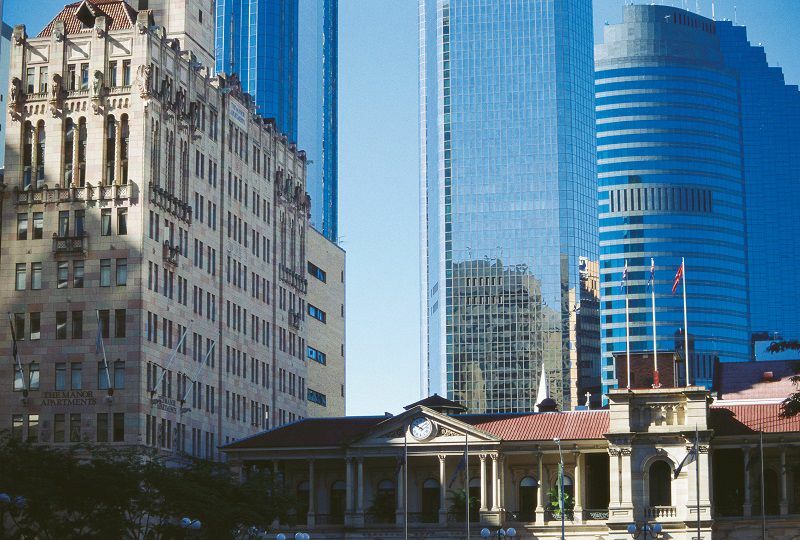 The Brisbane CityHopper is a great way to enjoy sightseeing. It's a free inner city ferry service for the Brisbane River. You can hop on and hop off the CityHopper at each stop. The ferry arrives every 30 minutes. The CityHopper ferry is available between 6 a.m. and midnight, seven days a week. Plan out the sights you want to see in Brisbane and then look at the CityHopper schedule for the best times to catch a ferry as well as the locations closest to the attractions that interest you. No tickets are needed. North Quay, Brisbane City - In this busy dock area you'll find the small but interesting Queensland Police Museum and Queens Gardens which is a heritage-listed park with a statue of Queen Victoria. Not far from the ferry dock is a visitors' center where you can get more area information. South Bank 3, South Brisbane - Here you'll find Streets Beach at South Bank, a huge beach and lagoon where you can take a swim. Children will enjoy the Aquativity water park there. Discover Queensland’s arts at the Cultural Centre, South Bank. Visit the Queensland Art Gallery and Gallery of Modern Art. At the Queensland Museum, you'll find exhibits on natural history, cultural history, and science. Kids will love the interactive Sciencentre. Maritime Museum, South Brisbane - The Queensland Maritime Museum, adjacent to the ferry dock, houses collections of maritime artifacts, books, documents, and photographs. The displays include Navigation, Lighthouses, Ship Models, Marine Engines, Vessels, and the Dry Dock. Thornton Street, Kangaroo Point - The Kangaroo Point Cliffs are heritage-listed cliffs located at Kangaroo Point. There is a natural history trail to follow. Eagle Street Pier, Brisbane City - There are parks and a kayaking center near the ferry landing. Inland, take in a movie or go shopping at the Victoria Point Shopping Center. Holman Street, Kangaroo Point - See the historic Customs House on Queen Street, now a restaurant and event venue, and the beautiful St. John's Anglican Cathedral. Dockside, Kangaroo Point - The Story Bridge is Brisbane’s most iconic structure and you can climb it for an amazing view of the area. Sydney Street, New Farm - Enjoy the over-the-water River Walk between New Farm to the Howard St Wharves and on to the Brisbane CBD. One way to enter the walk is from the New Farm end at Riverview Court (river end tip of Merthyr Rd). Brisbane prides itself on their public transportation options. The CityHopper is just one of them. There are ferries, buses, electric trains, and taxis to get you around. With a TransLink Go Card, where you pre-pay for your fares, you can travel on all TransLink bus, ferry, and rail services across south-east Queensland. Buses are free in the inner city on two looping routes.